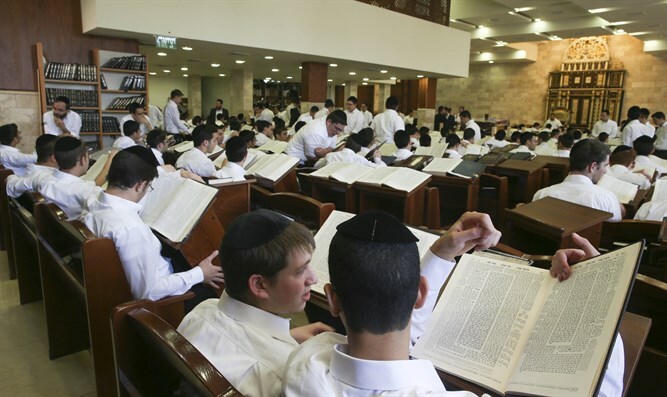 Students in Bnei Brak defend yeshiva library with holy books from demolition. During the past week the Bnei Brak municipality demolished a prefabricated structure that served as the library for the 'Sha'ar Hatalmud' yeshiva, headed by headed by Rabbi Yitzhak Shimon Braverman, the Kikar Hashabbat news website reported. The unusual event occurred early in the morning, when students at the yeshiva awoke to discover the bulldozers demolishing the structure. The students got between the bulldozers and the library in order to save the holy books still inside. Several weeks ago city inspectors had attempted to demolish the structure during the night, but were forced to turn back. This time, the students protected the library with their bodies, lying down on the ground in front of the bulldozers. However, after a confrontation which lasted several hours, the building was completely demolished. The yeshiva released a statement denouncing "the chutzpah of a haredi city council in demolishing a yeshiva structure in broad daylight." The statement continued: "It was heartening to see the inner strength and spirit of the students who did not hesitate to use their bodies to protect the building from the bulldozers."